It’s a topic that’s been bandied around before but was actually is backwards or reverse shampooing and is it really as good as they say? 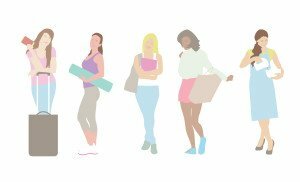 Even Glamour reported on this latest trend- mostly quoting the above, but worth a read! I have fine hair and based on what I’ve read on the subject it is meant to work wonders; though I find I have a weird fine hair- it kind of has a wave to it if left to it’s own devices and can go super frizzy if I don’t straighten it or putting a smoothing serum on and boy can it easily get into a knot. So I was some what apprehensive about this technique- I mean if I don’t use conditioner after shampoo, how on earth am I going to get my hairbrush through it! The technique? It’s simple, you simply condition first then follow it up with shampoo without using any follow up conditioner. Trying this new way of hair washing was quite strange; it meant ignoring what I have been ‘educated’ about hair washing. Picking up the conditioner first was almost like going against nature (an exaggeration I know but I have been doing this for almost 30 years). When I got out the shower, my hair felt like a massive clump of mess as you’d expect. So in following my usual routine, I applied TIGI after party– there is no better serum, it smells wonderful and is a really nice product that actually works. When it came to brushing it (with clenched teeth I might add!) I was pleasantly surprised, no problems, WHATSOEVER! After blow-dry, straightening and extra serum here were THE RESULTS! I have to say, I was really quite surprised! I was expecting to be having the worst hair day imaginable but actually it doesn’t look or feel bad! My hair does, as advised, have more volume and I find it has more texture. It is still relatively smooth but there is a bit of a frizz to it (even after applying serum and straightening it). No…… although I am pleased with the results, it isn’t something I really understand! I mean we use shampoo to clean our hair and conditioner to smooth our hair out (particularly the ends) and as Cosmopolitan said: conditioner feeds hair proteins, vitamins and replenishes lost nutrition so surely we are just washing these away when we ‘clean’ it? Moreover, because we use heat in styling our hair, this causes damage and conditioner, well cushions this! Although it doesn’t feel too bad now, what are the long term effects? I have to say though- whenever I go to get my hair styled (usually for an occasion, generally curled) I do always like to have it washed (so it doesn’t look greasy after a few hours), despite recommendations not too because my hair (being so fine) might not hold its style. As this particular technique gives my hair the texture I need to work with it, it will be my go-to ‘style wash’. 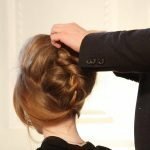 And if not for styling, this technique is actually most beneficial for those with hair damage as the conditioner acts like a protective barrier before shampooing. 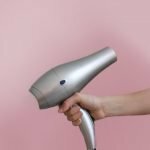 As shampooing is a process that is meant to remove dirt, debris and ultimately cleanse our hair, if we’ve got dry hair or even the slightest bit of damage, this can exacerbate the hair’s condition and have more longer term consequences. Don’t believe me? Lots of the big hair players like Kerastase and Tresemme are bringing out collections that are specifically for backwards shampooing- the Kerastase Bain Thérapiste range is more for controlling damage and the Tresemme Beauty-Full Volume range is targeted at, as it states, creating more volume. Give them a whirl.